Okay, so this week on the blog was pretty running heavy – which makes sense, because, well, my life is pretty running heavy 😉 You know, with the 10K, my random racing thoughts, running playlist additions and McMillan talk – but you know what, I do recognize that there are some readers that reach my site that are not 100 percent into running and that’s okay. Owls – okay, I am admittedly deathly afraid of birds…and this recent article just solidified that fear, but seriously, what is up with owls as a cute ‘thing’? Owl fans, please let me know, I know you’re out there! …some things I will just never understand. Don’t let my wife see number three! She’s obsessed with mustaches! Though, she definitely couldn’t tell you why. I secretly love owls. I don’t really know why but my love for them grew ten-fold when I became a jewelry designer for Origami Owl. Shameless plug. 🙂 The strange thing is I generally don’t care for birds. My husband hates them. Mustashes I do not get at all and yet they are everywhere! Color runs seem fun but I have a feeling I would get pelted right in the face or something. I think a Disney 5K would be a bazillion times more fun but I haven’t done those either. Owls creep me out too! Seriously. i don’t get the mustache thing either but i do love owls 🙂 but now i feel like its too over-rated to like them….i’d like to say, i thought owls were cool before it become popular. 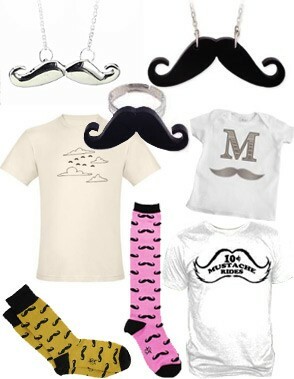 Ugh-the mustache thing….GGGAAAAHHHH! LOL Seriously, I do not get it. Lately my twitter feed has been blowing up with people making an attempt to be funny about bacon. I don’t get it. Ha…each year with the craft show I help with here I predict the top 3 “trends” in DIY and crafting and I have yet to miss! This past year it was 1) owls 2) mustaches and 3) “native” designs. Last year it was squirrels, the year before that was hedgehogs. People are just weird. I mean seriously though…it’s a mustache! I’m not like oooh leg hair how cute? Think I’ll put it on a purse and wear it??! I’ve loved owls (as in the actual animals) since I was a kid though, so I’m just ahead of the trend I guess. Also color runs are disappointing. WAAAY too much build up for a badly organized “race” with rude people. And the color washed right out even though I followed the instructions so you’re left with an (overpriced) race tee that now just looks dingy. Not worth the $, at least part of it went to charity. But I’d never do it again! I missed the zombie run this year, but otherwise Warrior is the only “themed” race I’d do again. Haha! I love your post. Hahaha, I love this. Color runs, I don’t get at all. I have had so many friends ask me to do ones this summer and I am like, nope. I don’t want to get dirty. I am the same with the Adventure Races, that isn’t for me at all.